Whether a military parent is deployed for months at sea or overseas, in times of relative peace or during a hot shooting war, children can feel a little adrift. With "Why My Dad? 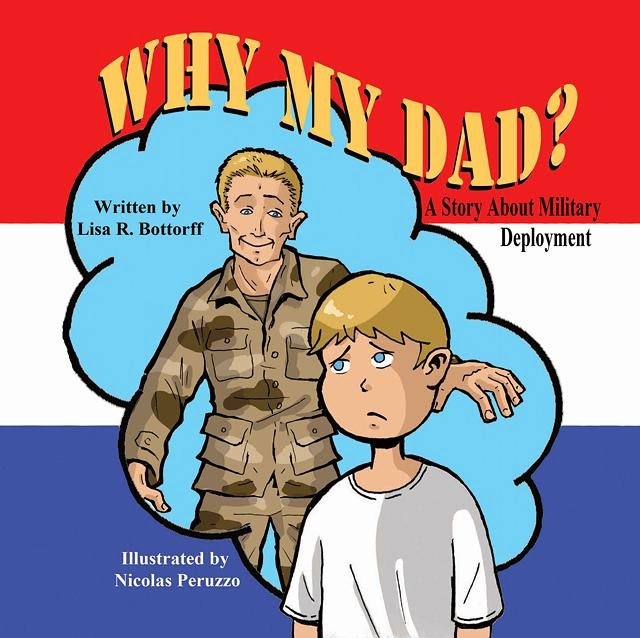 A Story About Military Deployment," U.S. Air Force veteran Lisa Bottorff has published a picture book that navigates this emotional surf. In it, she tells a story of Michael and his friend Randy, as they react to news that Michael's father has just deployed. While a colorful and accessible book for all ages, the book's themes are likely most appropriate to grade-school readers, leaning toward boys. The art by Nicolas Peruzzo—who has illustrated more than 30 children's books—are crisp and clean, almost like a comic book. Bottorff incorporates plenty of interest-generating hooks, including camping, baseball, and catching fireflies. Uniforms and military equipment are depicted in ways applicable to most military services. "Why My Dad?" would be a useful tool with which to engage children in conversations about their own deployment fears, hopes, and other feelings. Bottorff is most successful in her characters' explanation of what military parents do when they deploy. Notably, she manages to explore difficult concepts without mentioning combat, weapons, risk, or danger. Randy reminds Michael of a schoolyard situation: "My brother Robbie stepped in and made the bully leave me alone. Robbie was big and strong and could easily stand up to him. Our dads are like Robbie. They are in the world's best military and they stand up to bullies. Sometimes they have to go to other places to do it." Peruzzo's accompanying illustration figuratively reinforces the theme of protection. The book has some potential hiccups. Michael's dad, for example, suddenly disappears when the child fails to come home for dinner on time. This dramatic but likely unrealistic scenario could be problematic for younger children. "Your dad wanted to talk to you and say goodbye but he couldn’t find you," his mother says, potentially sending the child on guilt-laden journey of his own. Also, the letter his father leaves invokes the painfully familiar "you're now the man of the house" line. Speaking from experience, that can feel like an awfully heavy burden to a grade-schooler. Use it cautiously. Finally, it would be fun and useful to have a similar book that focuses on a deploying mother, and/or the perceptions of a daughter. That said, the book ends with a message that—while things will be different while a parent is deployed—life, friendships, and fun will go on. Beyond "I love you," that's probably what any child needs to hear most. Note: The Red Bull Rising blog was provided an electronic review copy of this book. 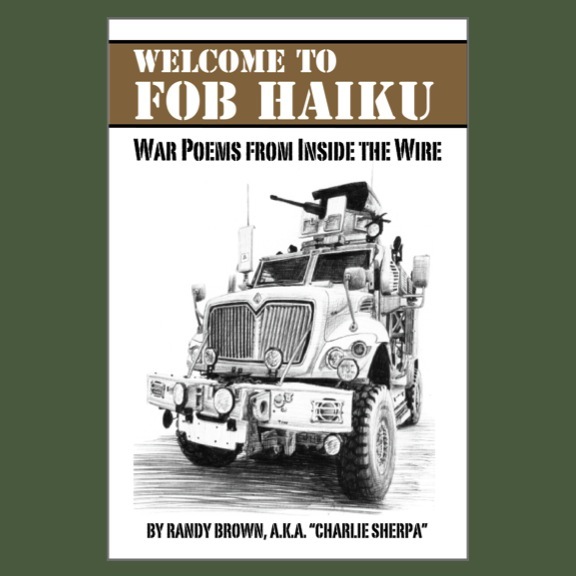 David Abrams, the sharp-witted former Army Public Affairs NCO who wrote the satirical Iraq War novel "Fobbit," is offering a FREE set of recent war-themed memoirs to the winner of his "Quivering Pen" blog's regular "Friday Freebie" contest. Despite the name of the contest, readers have until 12 midnight, Thurs., May 1 to enter. Adrian Bonenberger's "Afghan Post" , which was previously reviewed on the Red Bull Rising blog here. Through a series of letters, Bonenberger tells of his development and deployment as a young U.S. Army officer. 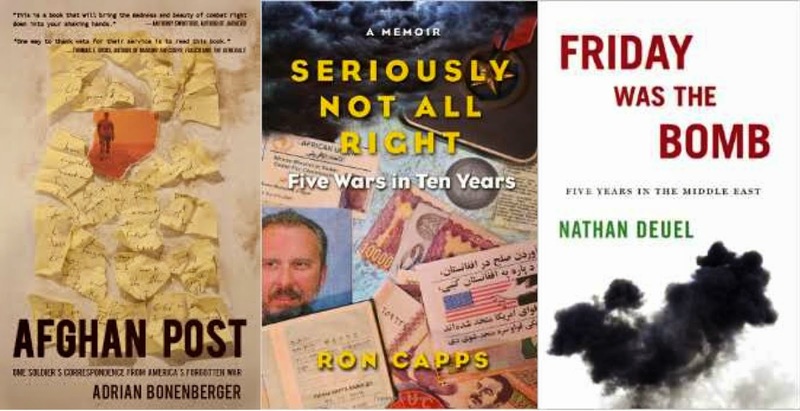 Ron Capps' "Seriously Not All Right: Five Wars in Ten Years," which was previously reviewed on the Red Bull Rising blog here. In a gripping series of essays, Capps' tells of his experiences downrange as both a U.S. Army officer and civilian Foreign Service Officer. Nathan Deuel's "Friday Was the Bomb: Five Years in the Middle East." In 2008, Deuel and his radio correspondent wife moved to Saudi Arabia to see what the Middle East was all about. While there, they had a daughter. Writes the publisher: "At once a meditation on fatherhood, an unusual memoir of a war correspondent's spouse, and a first-hand account from the front lines of the most historic events of recent days—the Arab Spring, the end of the Iraq war, and the unrest in Syria—Friday Was The Bomb is a searing collection of timely and absorbing essays." Put FRIDAY FREEBIE in the e-mail subject line. One entry per person, please. Despite its name, the Friday Freebie runs all week long and remains open to entries until midnight on May 1, at which time I’ll draw the winning name. I'll announce the lucky reader on May 2. If you’d like to join the mailing list for the once-a-week newsletter, simply add the words "Sign me up for the newsletter" in the body of your email. Your e-mail address and other personal information will never be sold or given to a third party (except in those instances where the publisher requires a mailing address for sending Friday Freebie winners copies of the book). Want to double your odds of winning? Get an extra entry in the contest by posting a link to this webpage on your blog, your Facebook wall or by tweeting it on Twitter. Once you’ve done any of those things, send me an additional e-mail saying "I’ve shared" and I'll put your name in the hat twice. 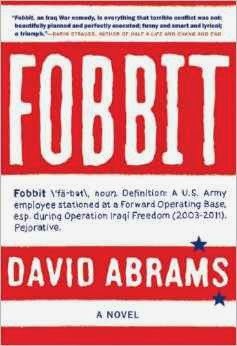 For the record, Abrams' "Fobbit" continues to be a must-read for soldiers who have been there, and for civilians who think we must be kidding. The book was previously reviewed on the Red Bull Rising blog here. I didn't know Jacob Hutchinson personally, but I can read the papers. I know you can, too. I know we once wore the same patches on the same uniform. I know that, in 2010-2011, he deployed to Eastern Afghanistan with Iowa's 2nd Brigade Combat Team (B.C.T. ), 34th Infantry "Red Bull" Division. He was assigned as a member of 2/34 Brigade Special Troops Battalion (2/34th BSTB), and was injured in a May 18, 2011 bomb attack while on vehicular patrol with three other soldiers, also injured, of Iowa's Charlie Company, 1st Battalion, 133rd Infantry Regiment (1-133rd Inf.). I know that friends of mine have this week called him both a friend, and a fighter. They call him "Hutch" and "Doc." They use the latter term out of respect, and familiarity, and love. I know that we are losing too many of our soldiers, our veterans, our friends. You expect death in war. You do not expect death at home. In this moment, I don't know what to else to do but to note his passing by reprinting his obituary. Pray comfort for his family and his friends. 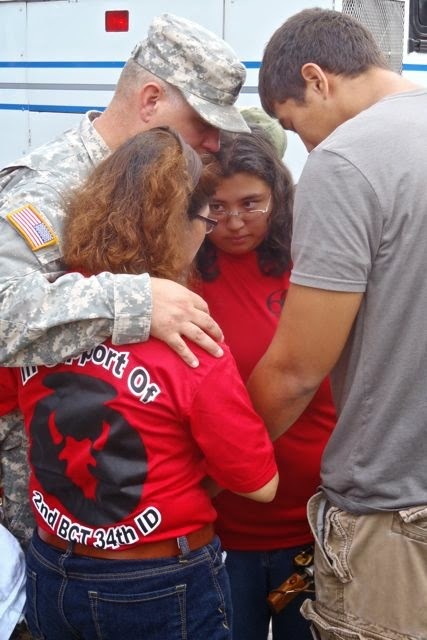 Pray for soldiers fighting the same fights. It does not seem like enough, I know. But it is something. Sgt. Jacob A. Hutchinson, 24, formerly of Cedar Rapids, Iowa, died on April 22, 2014 in Bloomington, Ind. A memorial service with military honors will be held 2:00 p.m. Sat., Apr. 26, 2014 at the First Lutheran Church officiated by the Rev. Steven Knudson. Visitation is 5 to 7 p.m. Fri., Apr. 25 at Cedar Memorial Park Funeral Home, Cedar Rapids. Inurnment will take place at the Iowa Veterans Cemetery, near Van Meter, at a later date. Jacob was born March 7, 1990 in Ames, Iowa. He received his associate of arts degree. 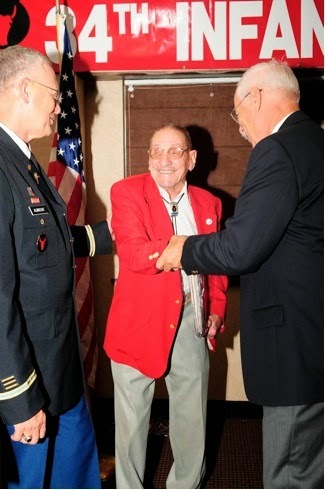 He served honorably as a combat medic in the Iowa Army National Guard. He sustained an I.E.D. injury while deployed to Afghanistan. 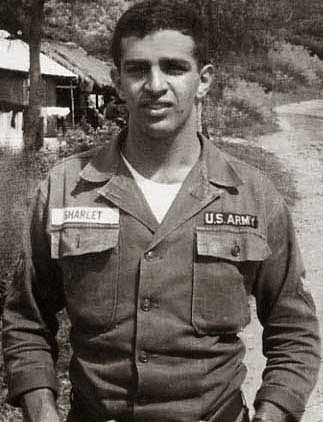 He was awarded a Purple Heart medal and a Combat Medic Badge for his service, caring for his fellow soldiers who were also injured. He spent nineteen months at the Center for the Intrepid in Texas, where he underwent more than 20 surgeries. He was a good soldier and took great pride in serving his country. Jacob enjoyed socializing and was often the life of the party. He never met a stranger, and counted many as his close friends. He enjoyed going to the shooting range, loved working out, and training his dogs. He is survived by his mother, Sela Gonlubol of Cedar Rapids; sister Maya Gonlubol of Cedar Rapids; maternal grandmother Charlotte Kirkegaard of Osage; aunt Sarah (Mark) Campbell of Osage; uncle Scot (Kenny) Kirkegaard of Dallas, Texas; aunt Ayse Gonlubol (Greg Guthrie) of Beaverton, Oregon; uncle Ali (Lale) Gonlubol of Florida; cousins Christian, Simon, Chloe, Kemal, and Leyla; ex-wife and friend Alexandria Young of Cedar Rapids; his beloved dogs Brownie and Nito; as well as girlfriend Alanna Blake of Bloomington, Indiana. Jacob was preceded in death by his step-father Ahmet Gonlubol; maternal grandfather the Rev. Anton Kirkegaard; and paternal grandmother Munire Gonlubol. 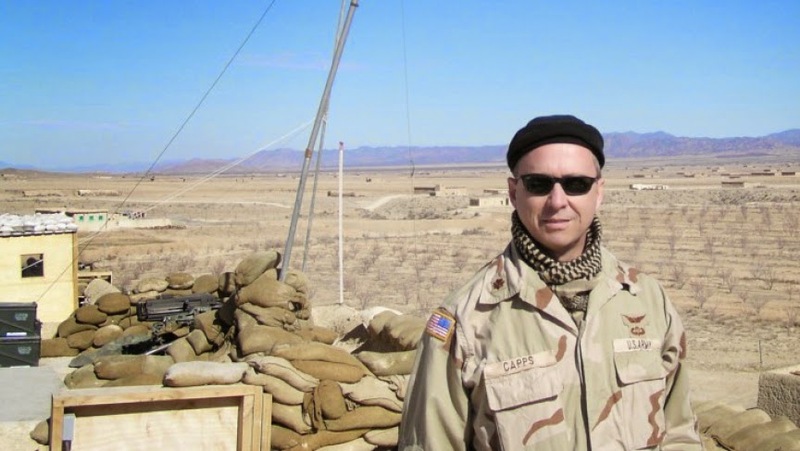 Military and U.S. State Department veteran Ron Capps likes to say that he served on the ragged edges of civilization, including tours in Central Africa, Kosovo, Iraq, Afghanistan, and Dafur. In a newly available memoir , he describes how that service nearly unraveled him personally, professionally, and, most of all, psychologically. Pieced together, his book also illuminates the limitations of ad hoc diplomatic and military efforts in a world challenged by terrorism, poverty, and genocide. Finally, his work serves as an example of why creative non-fiction/memoir is a vital tool in bridging the societal divide between military and civilian audiences. Everybody has their own war, and we are best served to remember that not every soldier's story fits into a neatly packaged narrative arc of home-and-back-again. Seriously—you should read this book. 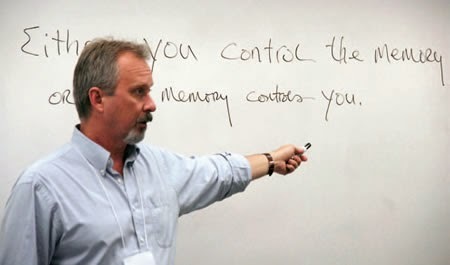 Bespeaking his State Department training, Capps is obviously master of the pointed understatement. Despite the harrowing circumstances of some of his tales, his authorial tone is always friendly and conversational, and he delivers his stories with a club-chair confidence of clear-eyed reflection. Between emotional slugs to the gut, you can almost hear the clink of ice in the glass. That's not to say that Capps is world-worn and -weary, and incapable of idealism. When a general officer tells him that it is too late for an observation mission in Rwanda to do any good for people, for example, Capps' response borders on insubordination. "General, we're talking about a hundred thousand people," Capps says. "They need help, and you have the power to save them." [p. 97] When the general subsequently challenges Capps' method of counting the population, Capps shames him out of the room. All he has to do, he tells the general, is "count the feet and divide by two." "No, you see, a bomb just went off down there." "Right, that's why we want you to go." "Right, and that's why I want to wait a few hours, just in case another one is sitting there ready to go off." The book's title is taken from Capps' daily system of rating his own mental health while downrange, a scale downhill from I'm All Right to I'm Not All Right, past Vaguely Not All Right, to Seriously Not All Right or worse. Having weathered years of dispassionately and diplomatically documenting shocking displays of humanity's inhumanity, Capps finds himself facing a personal Catch-22 dilemma: Does he ask for medical help to address his symptoms of Post-Traumatic Stress Disorder (P.T.S.D. ), so that he can continue to do his job? Because, if he does, he'll likely lose his security clearance ... and his job. Capps finally did pull the proverbial pin on his dual-hatted career—after nearly pulling the trigger in a suicide attempt downrange—and asked for the medical help he needed. After retiring, he used the G.I. Bill to complete a Masters of Fine Art (M.F.A.) in writing. He now leverages his talents as founder of the Washington, D.C.-based non-profit Veterans Writing Project. There, he helps other military veterans and family members share their experiences through non-fiction, fiction, poetry, and other writing. He also helps study writing as a potential therapeutic intervention at the National Intrepid Center of Excellence, Bethesda, Md. In other words, Capps is all right. And he's helping others get there, too. Disclosures: The Red Bull Rising blog received a review copy of this book. For a 2012 Red Bull Rising interview with Ron Capps, regarding his work with the Veterans Writing Project and its O-Dark-Thirty literary journal, click here. 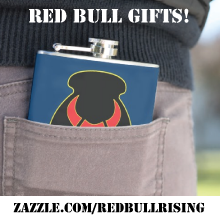 The organization and publication have been featured regularly on the Red Bull Rising blog. Finally, Capps was a presenter at the March 2014 Great Plains Writers' Conference, Brookings, S.D., at which the writer of the Red Bull Rising blog was also a presenter. They shared a drink or two. One of the producers of the 2010 Academy Award-nominated documentary "Restrepo" is crowd-funding the theatrical release of a second film focused on a platoon of U.S. soldiers fighting in Afghanistan. Taking its name from the eastern Afghan valley in which it was shot, "Korengal" is the third documentary project from Sebastian Junger, author of "War" (2010) and "The Perfect Storm" (1997). The Kickstarter page, which includes a 3-minute video trailer of the already-finished film, is here. 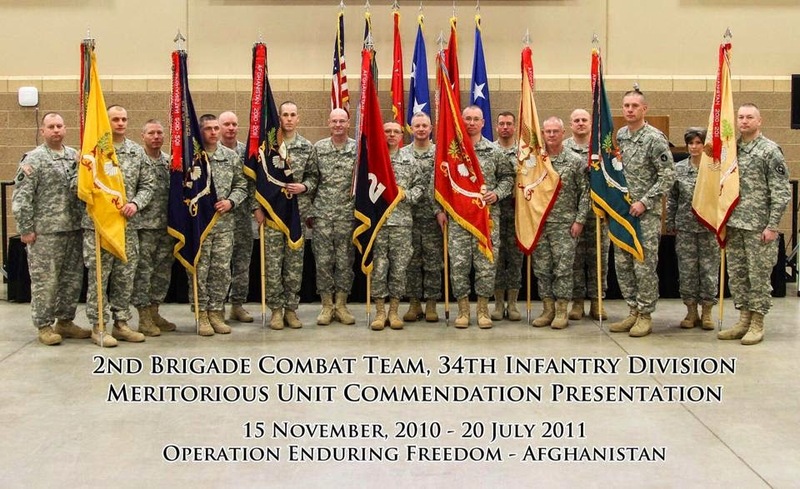 In 2007 and 2008, Junger and "Restrepo" co-producer Tim Hetherington repeatedly embedded with a platoon of 173rd Airborne Brigade Combat Team (173rd A.B.C.T.) soldiers in the Korengal Valley, Kunar Province. Where Junger describes "Restrepo" as immersive and experiential, he says the follow-up "Korengal" is intended to help make sense of—or at least reflect on—that earlier experience. On camera, its subjects talk about fear, and courage, and what it takes to make it through a combat deployment. 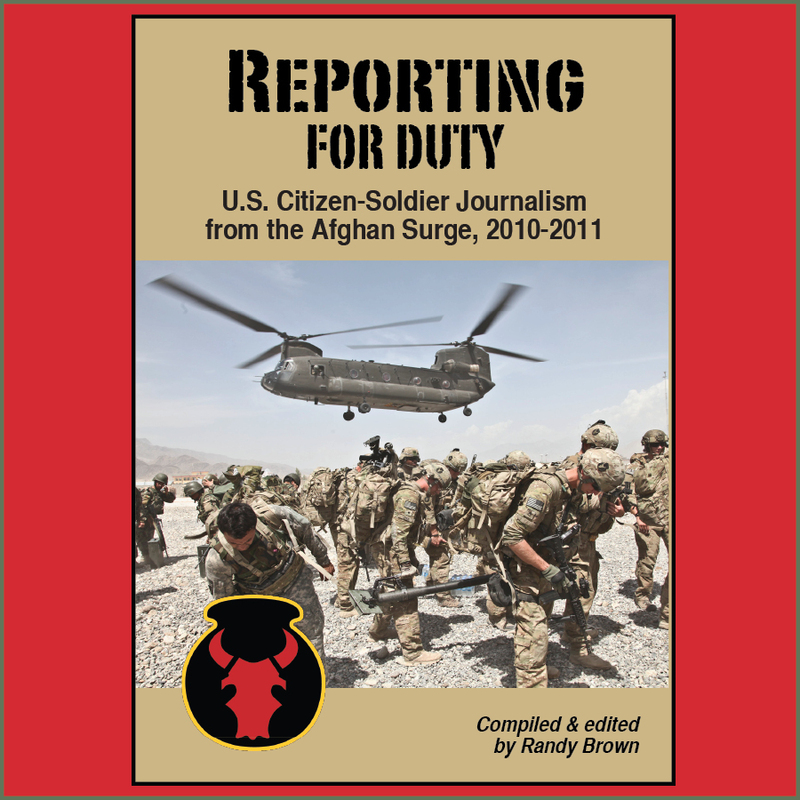 Readers of the Red Bull Rising blog may recall that the 2010 release of "Restrepo" occurred just as the Iowa National Guard's 2nd Brigade Combat Team (B.C.T. 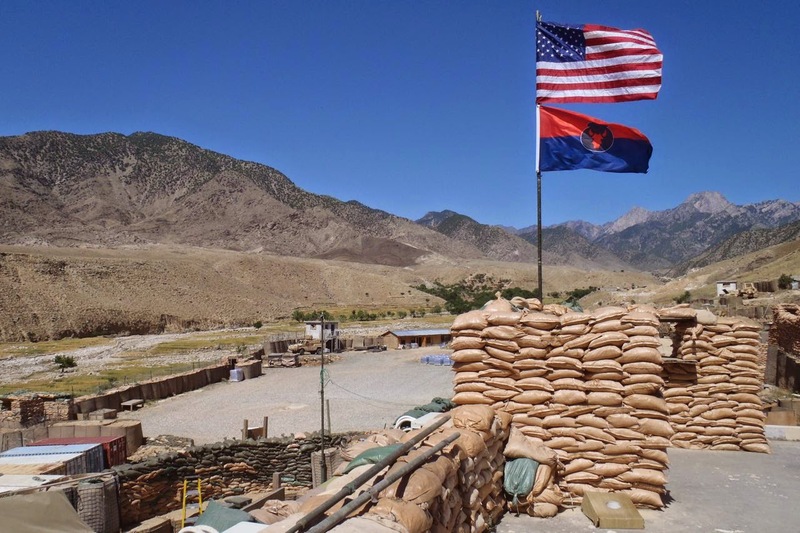 ), 34th Infantry "Red Bull" Division was preparing to deploy to Eastern Afghanistan, including the adjacent Laghman Province. In fact, the "Restrepo" promotional team arranged for some Red Bull soldiers to preview the film while at annual training 2010, Camp Ripley, Minn.
Korengal picks up where Restrepo left off; the same men, the same valley, the same commanders, but a very different look at the experience of war. 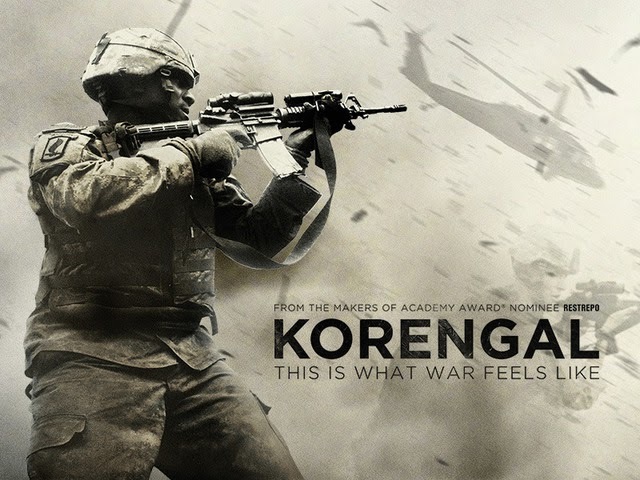 Korengal explains how war works, what it feels like and what it does to the young men who fight it. As one soldier cheers when he kills an enemy fighter, another looks into the camera and asks if God will ever forgive him for all of the killing he has done. As one soldier grieves the loss of his friend in combat, another explains why he misses the war now that his deployment has ended, and admits he would go back to the front line in a heartbeat. Every bit as intense and affecting as Restrepo, Korengal goes a step further in bringing the war into people's living rooms back home. "Korengal" is Junger's third feature-length documentary film. His second, 2013's "Which Way to the Front Line from Here," commemorated the life of photojournalist, author, and "Restrepo" co-producer Tim Hetherington, who was killed during fighting in Libya in 2011. Following that death, Junger started the non-profit Reporters Instructed in Saving Colleagues (R.I.S.C. ), which trains freelance journalists in combat life-saving techniques. For the official "Korengal" movie website, click here. For the Kickstarter page, click here. For a Facebook page for the "Korengal" film, click here. From 2010 to present, I was fortunate to have my writing occasionally featured by Doonesbury's "The Sandbox," which I discussed in a blog-post earlier this week. Until I attempted to summarize there what lessons I'd learned as a mil-blogger, however, I hadn't counted the number of times I'd been so blessed. I would like to extend my thanks to Sandbox editor David Stanford for his constant good humor, light touch, and efforts to tell the citizen-soldier story in first-person, present-tense. I was shocked and awed when Stanford tallied my appearances there at more than 30 times! As something of my own Sandbox archive, here's a round-up of Red Bull Rising blog-posts featured there, along with date of publication. The links point to The Sandbox versions of the blog-posts; some originally appeared on the Red Bull Rising blog under different headlines. I've also taken the liberty of creating a label for blog-posts that mentioned or were featured on The Sandbox. During Operation Desert Storm—when I was a young lad going to school for my country—I carried in my cargo pocket a laminated Doonesbury comic strip, clipped out of a newspaper. (I've mentioned this in a blog-post before.) Doonesbury is written and drawn by Garry Trudeau. In my Desert Storm favorite, a Vietnam veteran was telling war stories to new soldiers. One of the soldiers asks, "Really, you shot your own officers?" "Just the dumb ones," replies the character B.D. "Lieutenants mostly." 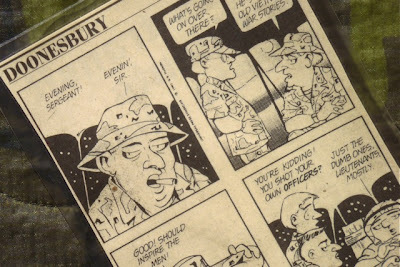 For me, who was then himself studying to be a young Army leader, the Doonesbury comic was the equivalent to that quote from "Patton" (1970). In that movie, the famous general tells of the ancient Roman practice of reminding its heroes that "all glory is fleeting." Earlier this year, the 65-year-old Trudeau announced the daily strip would be going on extended hiatus, so that he could focus on other projects—including the successful Internet-TV series "Alpha House." 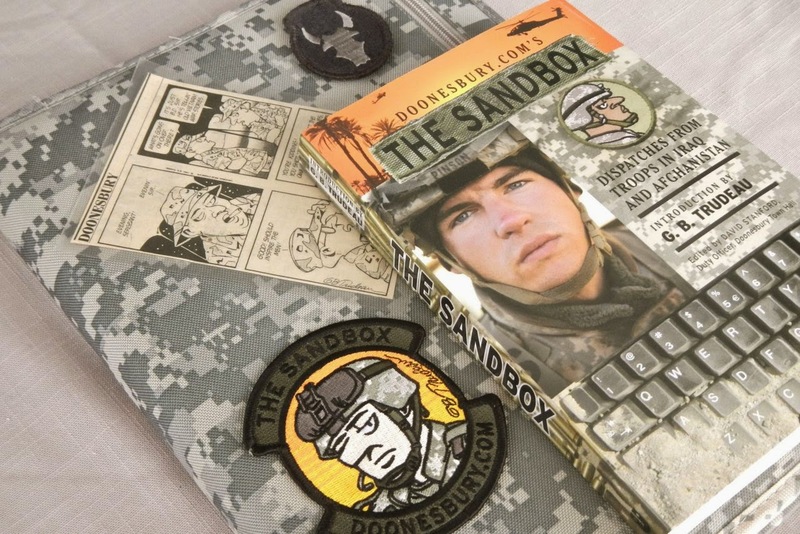 Parallel to that announcement came news that "The Sandbox," a Doonesbury-sponsored digest of first-person military writing about Iraq and Afghanistan, would soon cease publication of new content. The digest started in October 2006, when the practice of mil-blogging was just gaining recognition and popularity. The Pulitzer Prize-winning Trudeau has long used comics to communicate stories to provoke and educate non-military audiences about the realities of war, service, and deployment. His character B.D. started out in the Vietnam War, served in the Gulf War, and lost a leg in the Iraq War. The more-recent character Leo "Toggle" DeLuca was injured in an ambush in Iraq, where he lost an eye and now has difficulty speaking. B.D. 's close friend Ray Hightower was diagnosed with Post-Traumatic Stress Disorder (P.T.S.D.). Melissa "Mel" Wheeler is an Army sergeant and a survivor of Military Sexual Trauma (M.S.T.). Her best friend is Roz, a soldier who happens to be gay. In a time- and mind-bending twist, during the extended hiatus, the daily Doonesbury strip now features classic runs from the 1970s. Last week, the strip told the story of B.D. 's arrival in Vietnam. "I arrived in Vietnam yesterday and I must say, I love it," B.D. writes home. "I'm stationed at Firebase Bundy in the Delta and I've got my own bunker and machine gun!!" Suddenly, a heck of a firefight opens up overhead. "Well, have to run now. Much love, B.D." That reminded me of mil-blogging. It doesn't take much to see other parallels there, of writing letters from downrange, of communicating truths through humor, of finding yourself and your country stuck in a foreign place, uncomfortable and under fire. I hope Trudeau keeps telling his stories as long as he can. Our democracy and soldiers are well-served by truth-tellers, even those armed with a sense of snark. I can also hope, however, that my daughter and son will one day read Doonesbury—whether those from Vietnam or the Gulf War or Iraq—and maybe not understand as many of the jokes as I did. Before and after Afghanistan, my buddy Archer and I used to continually quote the 2004 Battlestar Galactica TV series, which was itself a nod to the concept of eternal return: "All this has happened before, and all this will happen again." What does it say that we recognize ourselves and our wars in some funny pages first published more than four decades ago? While I no longer wear a uniform, I now keep that favorite Doonesbury strip in my journalist go-bag. It reminds me of the good old days, and keeps me humble. Even though history may not repeat itself, after all, it sure does rhyme upon occasion. And all glory is fleeting. Editors of The Blue Streak, a free on-line poetry journal published by the non-profit Military Experience and the Arts, Richmond, Ky., recently opened a call for submissions to its second annual edition. Editors seek previously unpublished poetry from veterans and military family members of all eras. Deadline for the December 2014 publication is July 1. The 2014 edition is managed by poet Suzanne Rancourt ("Billboard in the Clouds" ), a veteran of the U.S. Marine Corps and Army veteran. She is assisted by poet Jason Poudrier ("Red Fields" ), an Army veteran of the Iraq War. Submit no more than 3 poems at a time, or up to four pages. Use single-spacing. Simultaneous submissions are not accepted. Include "BLUE STREAK SUBMISSION" and the title of the submitted work(s) in the header of online submissions. All submissions are placed on one of three tracks: Submissions may be accepted as submitted, or writers may be invited to work either with editors or within an online circle of peers. "We will never reject a writer outright," the website reads, "and we will continue to work with writers as long as they are willing to continue to revise and write." More submissions guidelines are available here. A submissions page is here. For previous Red Bull Rising blog coverage of the Blue Streak's inaugural issue, click here. An October 2012 interview with Poudrier appears here. 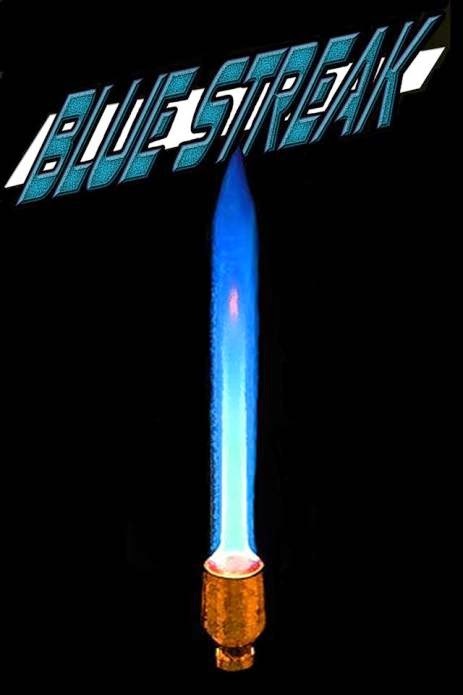 A Facebook page for the Blue Streak journal is here. 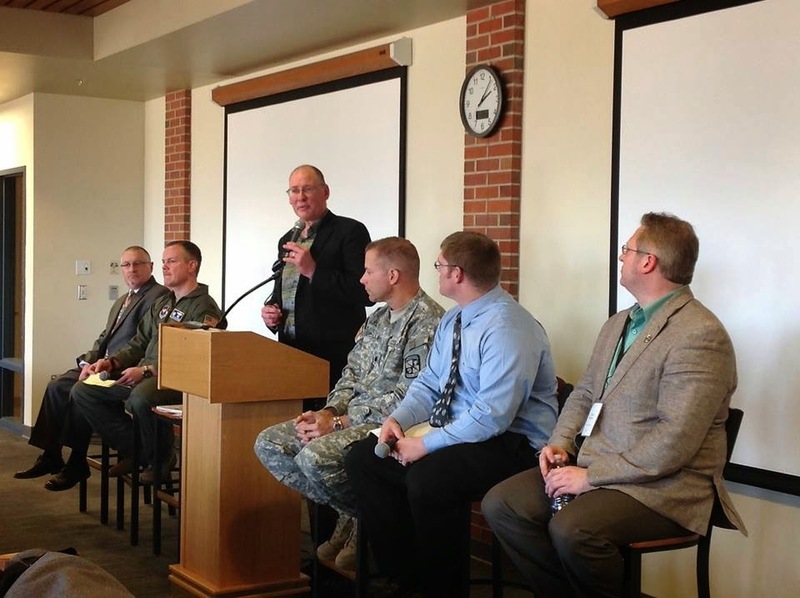 civil-military stakeholders on the campus of South Dakota State University. Photo: GPWC. For three days, last week's 38th Annual Great Plains Writers' Conference in Brookings, S.D. delivered inspiring conversations around the theme of "Coming Home: War, Healing, and American Culture." The event took place on the campus of South Dakota State University. The event was scheduled from Sunday evening, March 23 to Tuesday evening, March 25. Daytime sessions allowed students and faculty to take full advantage of visiting regional and national experts, and to present their own research and writing to the public. Session formats included panel discussions, authorial readings and how-tos, historical overviews, and more. 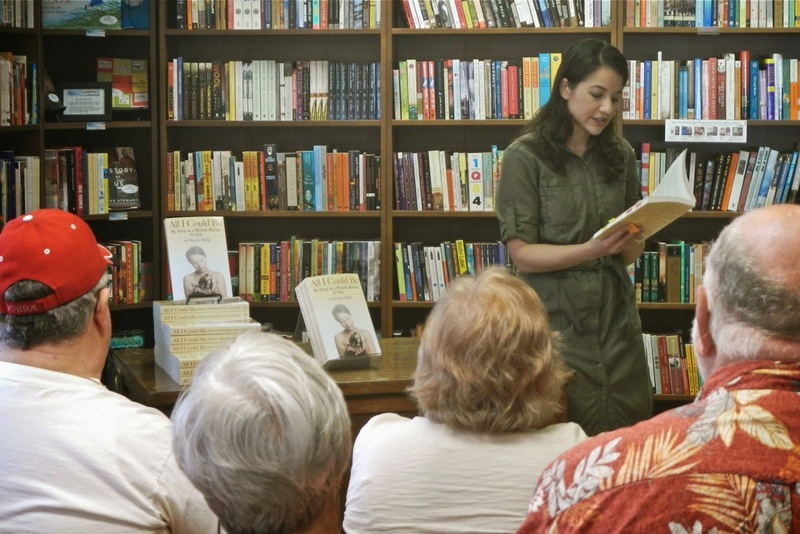 Evenings featured longer-form readings by visiting authors. Via a blog, Facebook and Twitter, organizers posted insights and updates on-line. by U.S. House of Representatives. Upon their return from war, veterans would be honored by seating them in groups, according to the conflicts in which they served. 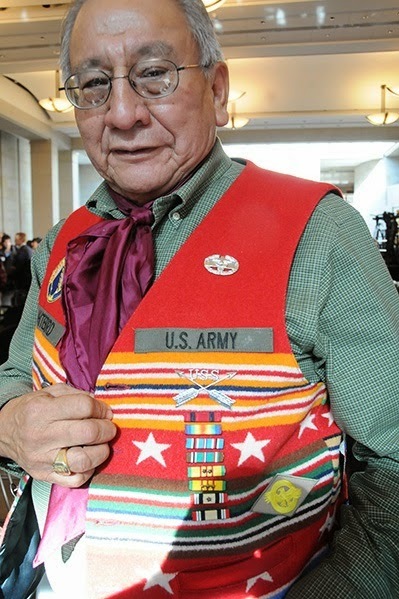 "In Lakota Country, we have songs about every war, and we had war songs about individuals. My aunt had one of them made up for me." Returning warriors could also take part in "centering" ceremonies, which would bring peace to themselves. His sons now participate in tribal events as warriors themselves, connecting them to a larger history and culture. Said Connor, "Dad used to wake us up by singing Army Infantry cadences. How you grow up makes a difference. We had chores before school. We made our beds with hospital corners." "After I got shot in the chest, I decided to go back [to Iraq. ]," he continued. "It was a little bit of pride, but I was also thinking about the people who went before me." It was through a reading by Katey Schultz, author of "Flashes of War," that I came to understand the potential poetic connections of flash fiction and prose-poetry. Flash fiction is described as single-perspective stories that range in approximate length from 250 to 750 words. 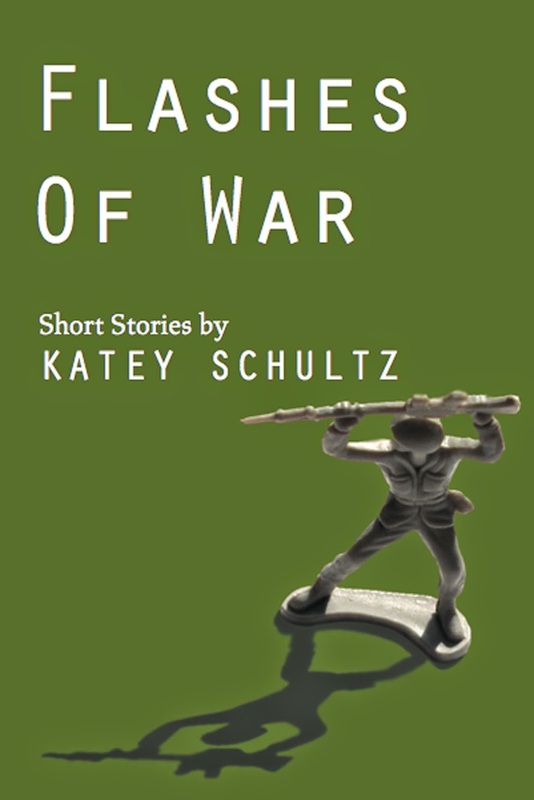 In her short fiction, Schultz, who has no direct connection to military service, has distilled words and observations into rounds that ring true and on target. The result is part poetry, part story-telling. Schultz, by the way, also described her technique of generating story prompts from photos and other media. Check out a YouTube video here, which features some of the images she used as cues for short fiction. "Finding and Creating Opportunities in Writing about Military Life." Founder of the non-profit Veterans Writing Project, Washington, D.C., Ron Capps noted that his organization welcomes participation by military family members, as well as current and past military service members. "Working with Special Forces, we had a saying: 'One is none,'" he said. "There always has to be a back-up. There always has to be a wingman. When you get out, particularly if you're in the National Guard or reserves, your family becomes your wingman." Rosalie Owens, an on-line course designer and creative-writing instructor for American Military University, noted that her class participants—many of whom currently serve in uniform overseas—recently asked that military ranks be dropped from class discussions. The implied hierarchies were getting in the way of good discussions and communications. How could faculty incorporate military professional development reading lists (here's an example) into their curricula? How could military cadet and/or student-veterans use their skills and experiences to document South Dakota veterans' experiences, through writing or other media? Could departments or campus groups help establish reading circles or writing workshops to help breach the civil-military divide? 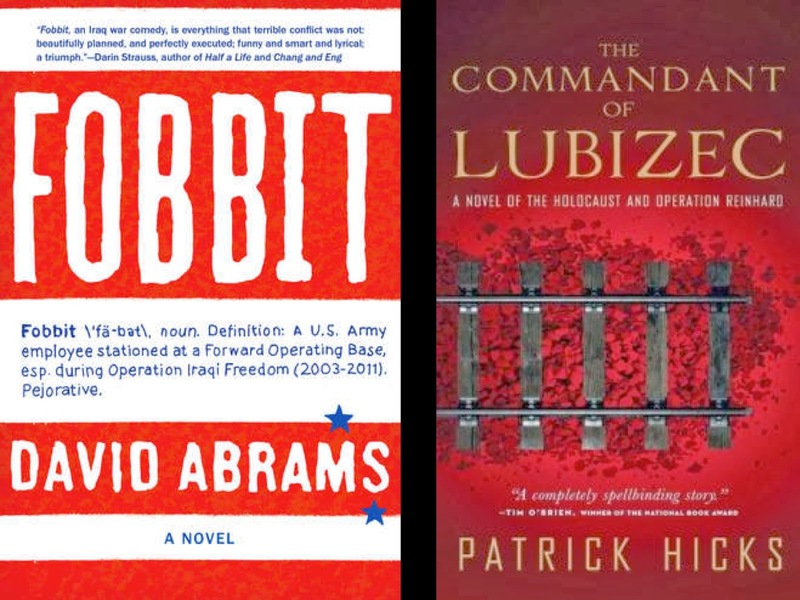 In one evening's event, David Abrams ("Fobbit") and Patrick Hicks ("The Commandant of Lubizec" ) explored the surprisingly rich common ground between their respective works. Abrams' "Fobbit" (2012) is an Iraq War satire in the spirit and tone of Joseph Heller's novel "Catch 22" (1961). Hicks' just-released historical novel is a dark and lyrical story of World War II extermination camps. In short, one would have a hard time imagining two war-themed works more dissimilar than the Fobbit and the Commandant. The connection and comparison suggested by moderator Steven Wingate, however, was in each author's wrestling with the "euphemisms and engines of war." It was one of those magic moments that could only take place at a conference such as this, with creative and thoughtful people sitting face to face, exchanging ideas and insights. In the conference's culminating evening event, Ron Capps warmed up the crowd gathered for poet Brian Turner (2005's "Here, Bullet" and 2010's "Phantom Noise" ). With self-deprecating humor, Capps said he felt his role was similar to that of George Thorogood, who opened for The Rolling Stones in the 1980s. 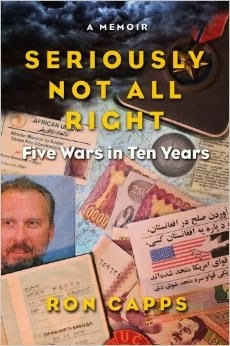 Capps read selections from his upcoming memoir "Seriously Not All Right: Five Wars in Ten Years." When Turner took the stage, he asked for the house lights to be brought up in the black-box space, creating an opportunity for more conversation. The poetry reading that followed was less rock concert, and more "MTV Unplugged"—alternating blasts of word-music with thought-provoking commentary. "How many have we lost in the wars in Iraq and Afghanistan," he asked during one interlude. "Now, what happens if I change the way I say that: How many have we lost in the wars in Iraq and Afghanistan?" The slight change in emphasis unlocked whole new layers of meaning. Disclosure: As a presenter myself at this year's event, my lodging and some land travel was underwritten by the 2014 Great Plains Writers' Conference. The next event is scheduled for March 22-24, 2015, and will explore literary themes and intersections with agriculture, ecology, environmental design, architecture, and more.